Need to protect against the chill this winter? 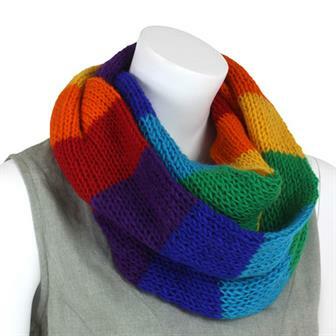 Check out our colourful selection of snug scarves and soft snoods. Alternatively, if you want decoration over protection, try our thinner Indian numbers for a summer accessory with a festival vibe. Part of our wonderful winter woollens range, these super snug snoods are ideal for wrapping up warm in the cold weather. 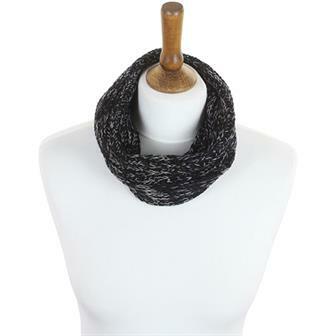 With their thick knit and bold designs, these snoods are a fashionable and practical addition to any wardrobe. 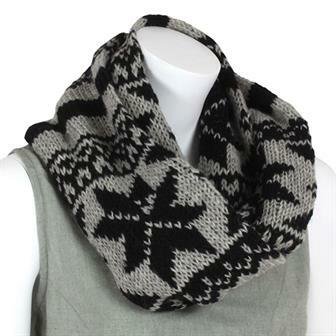 Ideal for cyclists, walkers and other outdoor folk, these knitted wool snoods can be worn like a scarf or pulled up to cover the face from the chilly wind. Each one is handmade in Nepal. 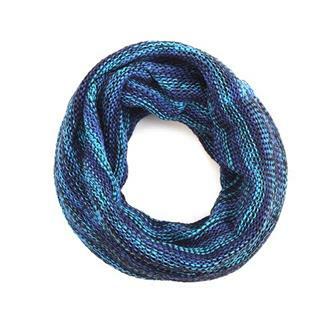 Silky smooth and beautifully patterned, these snoods make stylish neck warmers. Each one is made from off cut material used to make traditional saris in Nepal. 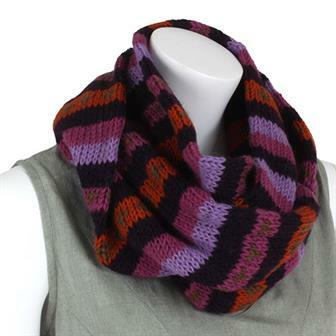 These knitted scarves are great for using in a variety of different ways. 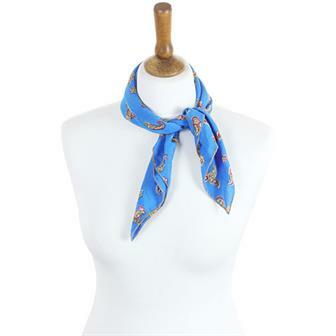 As well as the standard around the neck look, the scarves can be used to cover the ears, face or entire head making them great for use when cycling or other outdoor pursuits. These gorgeous and luxuriously large shawls are woven with a beautiful square pattern design. 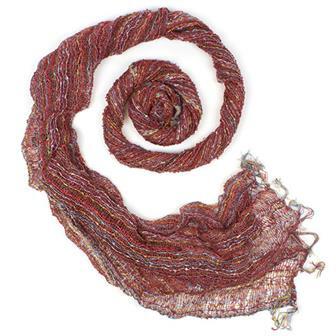 The shawls are extremely soft and duto their large size they can be used in a variety of ways. 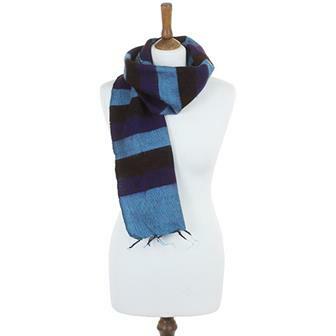 Huge, luxurious scarves are made from incredibly soft and warm acrylic material. 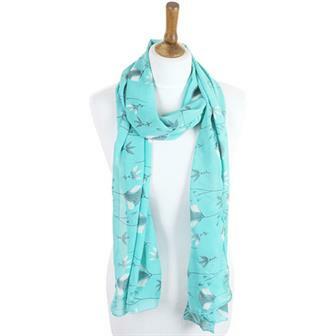 Available in two designs and mixed colours, they are perfect for wrapping up warm and looking stylish at the same time. A long time classic Siesta product, these body warming, eye catching pure wool scarves are handmade in Nepal and are perfect for bringing a little summer sunshine on a cloudy day! 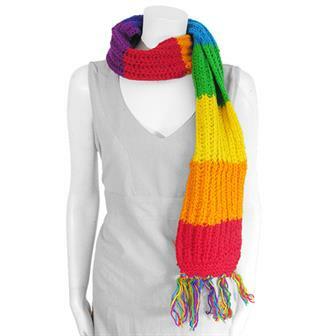 Warm and colourful, these acrylic scarves are the ideal accessory for this winter! These wonderfully silky feeling scarves are each handmade in India from material used to make traditional saris. Available in a huge variety of mixed colours, they are perfect for adding a little unique colour into any outfit. Wonderfully lightweight scarfs made from off-cuts of sari material, these lovely hemmed pieces of fabrics come in a huge range of colours and patterns making each piece pretty much unique, they are perfect for adding a little unique colour into any outfit. Lightweight square of off-cut sari material, these lovely hemmed pieces of fabrics come in a huge range of colours and patterns making each piece pretty much unique, they are perfect for adding a little unique colour into any outfit. 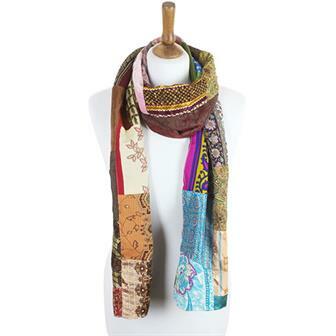 Made from a unique patchwork of sari remnants, these delightful lightweight scarves are perfect for summer. Lightweight cotton scarves printed with a variety of sacred Hindu symbols, patterns and occasionally mantras in Sanskrit Devanagari. More decoration rather than protection from the elements they are perfect for adding a splash of colour and joy to any outfit. 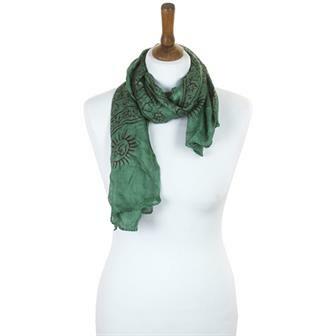 The scarves often feature such symbols as Om, Conch-shell, trident, lotus feet. 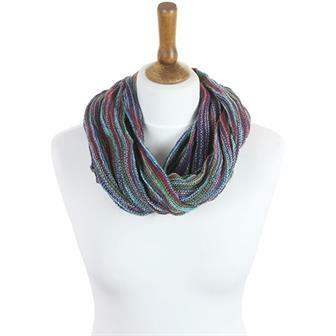 Lightweight and colourful fibres loosely woven makes this scarf a great accessory. The image shows a selection of colours which changes with each shipment. 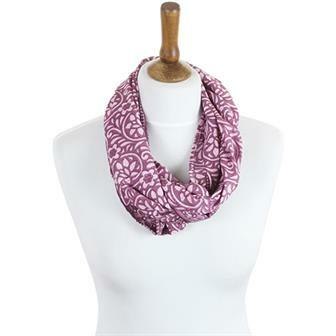 These beautiful cotton scarves are made from the traditional Indonesian material known as Ikat. The dyeing method used gives them the characteristic blurred effect ikat is known for. 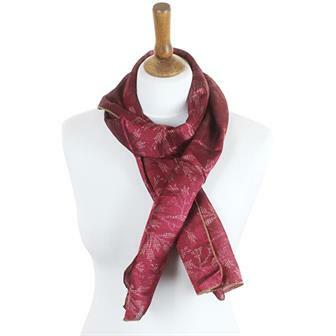 With their long length and tasseled ends, these wonderful scarves are perfect for wrapping yourself up in warm colour. These knitted cotton scarves can be used as a snood, keeping the neck and face warm on chilly days or as an extra large headband. Their large sizes mean that they can even be repurposed into a skirt or strapless top!